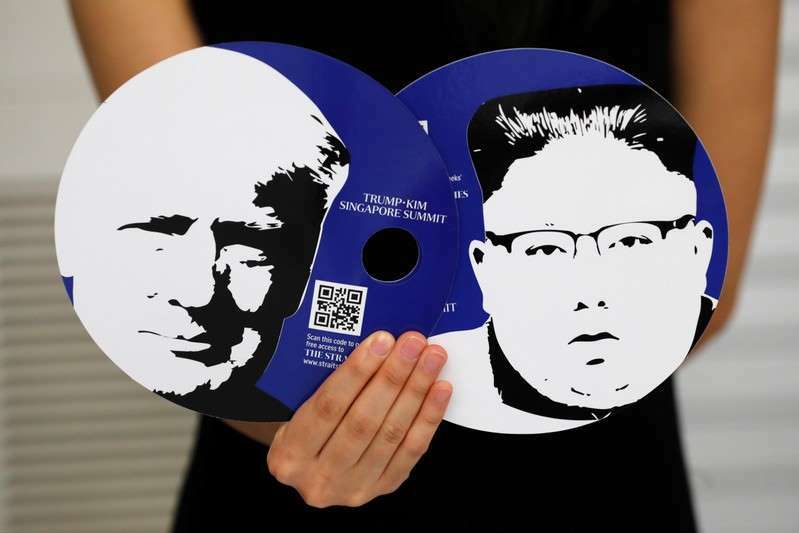 U.S. President Donald Trump and North Korean leader Kim Jong Un are expected to land in Singapore today within hours of each other in advance of a historic summit over the reclusive country's arsenal of nuclear weapons. The U.S. delegation, en route from the G7 meeting in Canada, will arrive Sunday evening, and Trump is set to meet with Singapore's Prime Minister Lee Hsien Loong on Monday. Trump is scheduled to arrive at Singapore's Paya Lebar Airbase at 8:35 p.m. on Sunday and go to the Shangri-La Hotel, according to the White House. Kim's private jet, a decades-old Il-62, departed Pyongyang late on Sunday morning and appeared to be headed for Singapore, South Korea's Yonhap News Agency said without providing further details. Kim is expected to arrive on Sunday afternoon, landing at Changi airport. A direct flight from Pyongyang landed in Singapore on Saturday, raising speculation that a delegation of North Korean officials had joined an advance team headed by Kim's close aide, Kim Chang Son, who was in Singapore to prepare for the talks. At stake at the summit are North Korea's nuclear weapons and peace on the Korean Peninsula. North Korea spent decades developing nuclear weapons, culminating in the test of a thermonuclear device in 2017. It also successfully tested missiles that had enough range to reach the U.S. mainland. The tests came amid a campaign of "maximum pressure," led by the United States, that tightened economic sanctions against North Korea and raised the possibility of military action. The summit comes after weeks of sometimes-contentious discussions and was briefly cancelled amid North Korean outrage over messaging from some U.S. advisers.